The first question I ask is: Do you meditate? For those who say yes I say, “Great,” since meditation, aside from its many health benefits, is by far the greatest tool for developing intuition. For those who say they can’t meditate or don’t have time, don’t worry. 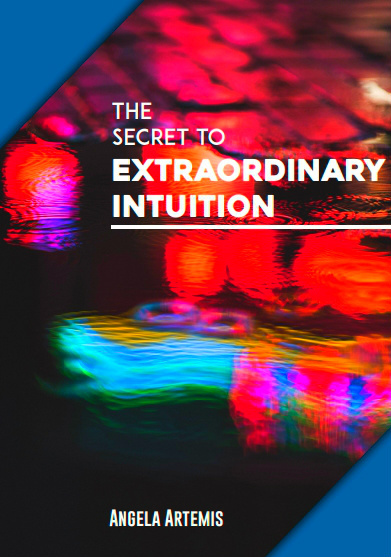 I have an easy way you’re going to love to learn to tap into your intuition. The truth is we’re receiving intuitive guidance all the time. One of the best times for our intuition to speak to us is through our dreams. There’s no interference from the ego while we’re asleep when the subconscious is in control. Some dreams contain intuitive guidance and some are just crazy pieces of the day’s events. Precognitive dreams foretell of future events. Some dreams we have are vivid encounters with departed loved ones, and others recollections of out of body experiences. And others offer intuitive guidance to solve problems and answer questions about issues we’re dealing with in our lives. Your intuitive dreams act as a gauge to show you whether you’re on the right track in your life. Your intuition has a very practical purpose and is there to help you make the right choices, keep you safe and act as a warning system and guidance system in your life. The most rewarding dreams are the problem solvers simply because they are the most practical in everyday life. Problem solving dreams not only give you answers and guidance, but can also validate an answer or direction you’re not 100 percent sure about taking. Intuitive guidance, at its best, gives us more information and answers so that we live better and more fulfilling lives. Getting answers to problems is the main reason for learning to remember your dreams. I was on a movie set in California in the mountains. There was a huge fire consuming the forest in the distance and an enormous cloud of smoke formed in the sky. We were being evacuated by bus. I said to some of my companions, “I guess the only safe place for me is New York.” I felt resigned to my fate of returning home. I had been contemplating moving out of the area and “acting” as if I might do it soon. While the idea of moving where the cost of living is lower sounds great, the truth is I really can’t move too far away from my elderly mother right now. So, my dream sent me the “smoke signals” that I’d have to come back home. My dream was telling me that if I moved I would be “evacuated” by disasters, which I interpreted to mean regarding my mother’s health, and have to return home. Why some people remember dreams and others don’t. When we wake up and remember we’ve had a crazy dream, but then jump out of bed to get ready for work and forget the dream we’re sending a message that says – I’m not interested in this information. People who remember their dreams take time to think about them. They’re interested – even if they might not understand the meaning of the dream. The message they send to the brain is: I like remembering my dreams – send more please! To start benefiting from your intuitive wisdom the easy way – program yourself to remember your dreams. You can train yourself to remember your dreams in as little as a few nights. And once you do – you’ll never need to worry about hearing your intuition again. 1. Be prepared. Make sure you have a pad and pen on your bedside table. 2. Set the alarm. Wake up a half hour earlier to have time to mull over your dream. 3. Create your intention. Make up your mind to have a dream and recall it. Spend a few minutes before drifting off telling yourself that you want to have a dream, that you will have dream and that you will readily and easily remember it. 4. Hold onto the images. When you wake up do not open your eyes right away and do not move. Just lay still to allow the dream to stay on the surface of your mind. 5. Reduce disturbances. Do not allow pets to distract you when you wake, or better yet keep them out of the bedroom so they don’t wake you up. 6. Jot down the details. After grabbing some of the pertinent details – write them down before they get a chance to sink back down to the depths of the subconscious. The more you work with your dreams the easier it will become to decipher them. 7. Silence helps when recalling dreams. Don’t turn on the radio or TV or talk right after waking up. After jotting down a few details – silence allows further dream fragments to bubble up to the surface of our awareness. Getting up at night makes it more difficult to remember dreams. Try to limit drinking too many liquids prior to going to bed. When you awaken in the midst of a dream – the movement of having to get out of bed right away yanks dreams from your mind, so that for the most part they are lost forever. Follow these simple steps and after a few nights you’ll find that you easily remember your dreams in the morning. Do you recall your dreams? Do you have a problem your trying to solve right now? Try following these steps and see how many more dreams you recall. I have been asking qu’s each night for 6 months before going to sleep to have an insight into my future. Each month approx, I have interpreted dreams that I am still in a job I do not enjoy or find fulfilling and I never ‘see’ a way out to do something I would like to be doing otherwise. So, I am expected to just accept this as my future without any guidance to find a way of doing something else, it appears to me. And when I do ask for guidance I don’t feel like I get any. It seems to have been a useless 6 months worth of dreaming because I already know without a job I have no income, so I know I have to stick with it. Yet, I don’t think asking for guidance was too much? What do you think of these dreams? Have I understood them incorrectly? I would have to hear all details and understand more about the context of life right now to really interpret your dreams correctly. I don’t think asking for guidance is “too much” either. Sometimes we need to change the questions we are asking though. What would you like to be doing with your life? If you keep getting the same old thing – ask different questions to get out of that rut. Let me know how this works out for you Julie. Thank you for your email as I have been struggling with this for a while. I am having a hard time with a job that I can’t stand, yet at the same time I feel so disconnected from my higher self that I do not know what else I would like to do, career-wise. Anyway, I tried asking different qu’s before going to sleep, like you said, and then having dreamed being at work, feeling overworked and stressed (as usual), I tried interpreting them as openly as I could when I awoke. I think I have “found” some answers but a small part thinks I cannot be 100% sure of the meanings. Have you ever tried to follow your intuition even though you did not know where you would end up? I haven’t finished in this ‘dream journey’ but I believe I am going to have to take a massive leap of faith at some point in order to get to where I want to be – even though I don’t know where that is yet. Thank you for your advice so far. I was at the summit of stress when I emailed you. Sometimes you have “let go.” Take the leap of faith. When we try to hard we can get more confused and anxious because we don’t seem to be getting answers. You need to let your mind settle by distancing yourself from the anxiety. Take a break from all the “trying” for a while. If you have a plan that feels right – such as your leap of faith – do it. It was because you already had the answer. Hi Angela, I feel like I need to get some things off my chest after taking some action in relation to my last posts. I quit my job, thinking and feeling I was following my feelings and intuition. Then I changed my mind, and because my boss is vile she will not allow me back. I know this is nothing to do with you, per se, but I really want to share how bad I feel one moment (which feels often at the moment) and sometimes better that I quit working like a slave. There are other factors involved, which I can’t expect you to fully understand, but I felt lousy in my job, and now I feel like I maybe did the “wrong” thing as I don’t have a back-up plan, although I feel like I should give myself a break because it made me so unhappy. I’m sorry if I sound like a loser but I needed to share this with someone. I hope you don’t mind too much. I’m sure I will be okay whatever happens. A part of me feels like what if I interpreted my intuition “incorrectly”? TBH it makes me feel afraid of it. I don’t think I bargained following it to be as difficult as it seems. Have you ever found it to be hard or ambiguous to understand? Thank you so much for sharing so much about your life and feelings. You are very honest – and for that I commend you. Yes, I have found my intuition to be ambiguous at times too so, don’t beat yourself up. A lot of times it feels ambiguous because we have an outcome in mind and our intuition is not backing us up. We want our intuition to confirm what we want to do and when it doesn’t we feel unsettled and unsure. That said, since what’s done is done try to focus on how free you feel now that you don’t have to be in that unhappy environment any longer. Try to maintain an upbeat attitude. Tell yourself that now that you took action that proves that you respect yourself you are now going to attract a job where you are respected and happy. It’s okay to vacillate between feeling that you made the right decision and feeling that perhaps, you did not. You’re human and your future is not yet secure so of course you’re going to feel upset and scared at times. Try not to panic and keep repeating affirmations that stave off fear such as: All is well. My life is moving in the right direction and any moment a wonderful new job could come my way. It’s all going to work out as long as you don’t panic and take action. I have started keeping a check on my dreams..i ask for guidance..i do get it but sometimes its not direct and the symbols feel confusing..I know somehow that the answer is in the symbols but how do i interpret it exactly? Symbols are individual to each of us. I may see a tiger in a dream and be afraid and it may represent danger but, you may see one and think of it as representing pride and high intelligence. You need to review your dream and “feel” how you react to each of the symbols. Thanks so much for visiting and commenting. It’s a pleasure to meet you. Thanks for the reply Angela.. I felt good..It was God in my dream telling me a solution to a situation in my relationship which is a little down right now..(which i was asking a night earlier)..He took a white flower, plucked and added some sort of herb and planted it like we plant a seed..and he said now see there will be plenty of roses in it..I definitely felt good..But was confused what the herb is and what is it that i should do in real life..I even recall thanking him in the dream as if my problem was solved and told him that this is gonna change my life..When i woke up i was confused that my dream self understood something that i didnt when i was awake..It just confuses me what the herb is supposed to be..
Maybe the herb means that you have to add a bit of “spice” to you life to grow plenty of roses? Get out and see the world, expand your horizons and open your mind to new insights? So glad you found this helpful!~ My pleasure – anytime. When we were on our trip recently I realized I was remembering my dreams which I don’t think I did much all year long. Do you think that it’s easier to remember dreams when we are more relaxed and not on a schedule? I do think it’s easier to remember dreams when you’re relaxed and don’t have to jump out of bed when the alarm clock rings. I also think that unless you make remembering dreams a habit – no matter where you are – home or vacation – you won’t remember them. It sounds like your dreams must be pretty exciting! Please try these steps and let me know if you start remembering them more consistently. I’ve been studying these subjects since I was a pre-teen – which is a long time! I love the topic of dreams because I have such vivid dreams every night, and they do tell me a lot about my present and future state. It is like opening up a magic genie lamp and getting all sorts of goodies. I am not that great though at understanding them all, but I appreciate every single one and have been a great dreamer since I can remember. I’ve had a few awesome lucid dreams too, which made it even more exciting. Thank you for expanding on this topic! I’m sure you do have the most vivid dreams. I agree – dreaming is like having a magic genie lamp at our disposal! I’ve had a few lucid dreams – not many. They are pretty incredible though. At one time I was able to recall dreams incredibly easily – then somehow stopped. When I read your tips I clearly saw some differences between now and then – sometimes it takes making a specific plan and intention. Your 7 steps are a great plan! G doesn’t remember his dreams and thinks he doesn’t dream. I’m curious to see if I can get him to try this plan with me and see what happens. You may be jumping out of bed more quickly in the morning and/or just not setting the intention – as you point out. I’m glad you liked the 7 steps. I’m sure G dreams – everyone does. Let me know if he starts remembering more dreams. A very interesting post! I hear stories of people who can be mindful during their dreams and essentially control what takes place. I can’t imagine the benefit this could produce. I keep a notepad near the bed for just these type of reasons. Creative ideas do come to me in my dream but if I don’t purposely try to recall them or have a method to remember them it’s no use. I’m glad you enjoyed the post. Lucid dreaming is a big way to use dreams to explore alternative realities. I find that getting creative ideas and solutions from dreams is enough for me! Hi Angela — I like the idea of sitting in bed right after a dream and seeing what I can piece together — it seems like a very self-loving act to me. For me, I tend to burst out of bed and hurl myself into things in the morning, and this sounds like an interesting alternative to check out. I’m glad the idea of taking it slow in the morning and reviewing your dreams sounds good. I highly recommend it. Let me know if you find that you remember more dreams this way. I remember some of my dreams but not all. Mostly, it’s my subconscious magnifying the things that I need to let go of. I have found it helpful to set my intention too. I do it as the last thought on my mind just prior to sleeping. It wouldn’t work if I read a book, watch TV or take a shower after making the request for intuitive guidance. The desire has to be clear and strong for my intention to work. I don’t remember every single one either Evelyn. It really depends, like most people, how rushed I am in the morning. That’s great and exactly what you should be doing to remember a dream. Plant the intention just prior to sleep. Yes, you can’t expect to remember your dream if you go off and do another activity prior to sleep, that’s for sure! You’ve got it down to a science. I cans see that! Nice tips, thank you! I usually remember my dreams pretty well, while my husband doesn’t – I’ll pass this article to him! I’m fascinated by dreams and often try to find their meaning; sometimes I get ideas for new projects too. You have many “lucid dreams” then. In Lucid dreams we know we’re dreaming. Very interesting. Why not set the intention to find some solutions to problems in your life with a dream? You seem to dream so easily – you’re a natural! I would love to be guided more! 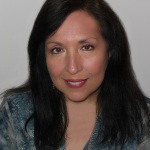 I do meditate, but have been ignoring my dreams… since they are often about relationships from the past…, and fear, and I’m attempting to connect with the love inside (call it spirit, soul, higher self). So I guess I’m looking to be guided by love. And now I’m wondering if jotting down my dreams would still be of value. Maybe they are showing me what I need to release. I can try and find out, right! I think you’ll open up a well spring of guidance if you create the intention to remember your dreams and write them down. You’re guidance will increase this way about all facets of your life. That is me no time to remember my dreams. Do you think it’s absolutely necessary or can I still make use of all access to my intuition and inner wisdom in other ways? No, it’s definitely not absolutely necessary to remember your dreams. If you’re taking the time to meditate in the morning you’ll be receiving guidance that way. You could also reflect upon your dreams when you meditate and they may come back to you at that time. There are times I remember and times I have no recall. But you are right when I have time to lie quietly and think I remember. Hard part is interpreting them. I know when I jump out of bed quickly my dream is lost, usually forever. I have a few constant questions I’m always asking for guidance about so my dreams usually address these issues: should I move out of state, should I go find a real job, should I continue on the path I’m on, etc? That makes it much easier to interpret my dreams. Thank you for this post Angela. I remember I was one of those people a few years ago who thought “I never have dreams”. But it wasn’t until I made up in my mind, I’m going to try recall them. Once I set that intention, all of a sudden…I started having dreams galore. I love the dream state for the messages we receive. I have my note pad and pen and will normally ask myself a question, such as “Is this the right move for me” or something similar. There is so much to learn through dreams! Once we set the intention that we want to remember our dreams we do. I love that you keep a pad and pencil handy too. I always ask questions before I got to sleep then ask for a dream to answer them. I usually do get an answer too. Dreams can be fantastic teaching aids. 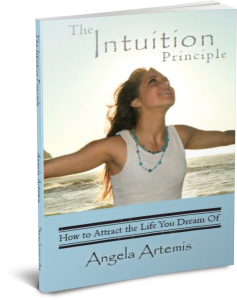 Dear wonderful Angela, thanks so much for writing about my FAVORITE topics: Our dreams! Thank you for sharing. I guess I am supremely interested because I do remember mine and I crave them, I lull over them, I think about them, I stop everything I am doing when they come to me mid-morning or a few hours after waking and I used to write them down but I stopped. I know that we forget them because they are not a real memory, they haven’t really happened so our mind doesn’t register them as a memory, is that right? Which is why it’s so important to write them down. One day, I want to tell you all my dreams (not the dreams I have for future, you know what I mean) and see what you make of it :)! Thanks for the information about remembering our dreams. I remember my dreams quite often. I have a dream book, so when they disturb me, or I’m not sure what they mean, I look it up and that is helpful. As you say, the dream represents something else going on in your life. That is great advice to just lie there for awhile, and recall the dream. It helps. Thanks. I’m glad you remember your dreams often. I would suggest you go by your feelings rather than a dream book. Symbols in dreams are unique to each of us depending on our background and beliefs. If you don’t move for a few minutes after you open your eyes you’re more apt to retain your dream. Life caters to everyone according to their unique needs doesn’t it? I like how life provides a solution through dreaming to access our intuition even if we cannot meditate. I feel that many of your tips are useful in getting the best out of dreams. It is so easy to forget them if we don’t make an effort to capture them. What a powerful message your dream was trying to communicate to you! I’m glad you finally understood the message and took control of your life. Isn’t it amazing how your intuition knew what was best for you before your conscious mind did? This is proof that our intuition comes from higher intelligence. Thanks so much for the tips! I always have very vivid, sometimes disturbing dreams, but often struggle to remember them. I’ve spent much of today trying to recall a series of very strange dreams I had last night. I’ve noticed that, in the past few months, since I’ve started writing a book I’ve been thinking about for quite a while, my dreams have become much less upsetting and far more interesting. I’m hoping it’s my subconscious telling me that I’m on the right track! 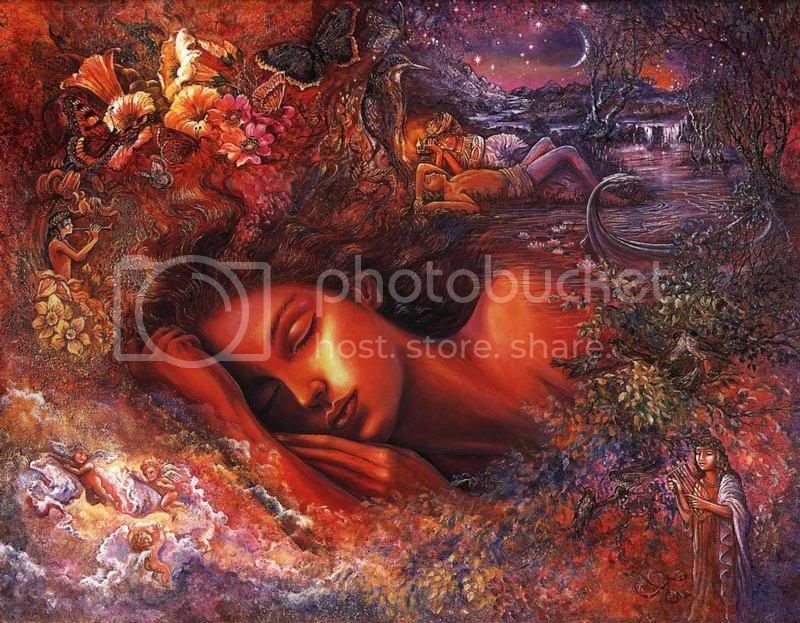 Most intuitives have very vivid dreams. It’s our intuition trying to speak to us! Remembering your dreams will help you find the right path and purpose in your life – if you haven’t found that already. I would agree. If your upsetting dreams have subsided while writing the book you’re definitely on the right path. Angela: really informative post. 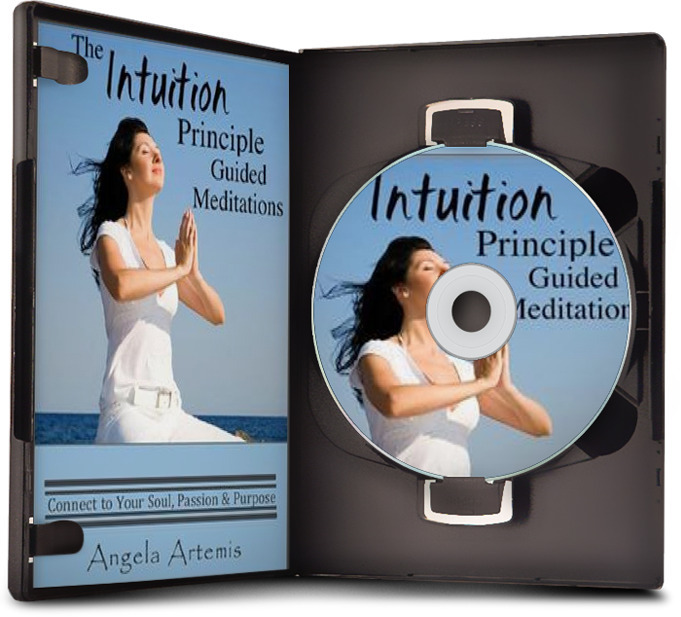 Great information on how to really develop our intuition and understand our dreams. I have always known there is a process for making this happen, but was not really all that sure of the best practices. Really great info. I’m glad you enjoyed this post and found it helpful. Love your new site by the way! My dreams are mostly nonsense (although great fun for nonsense), but I did have a rather interesting one about Daniel that I posted recently. Oh, and I got a fully formed product idea in a dream a few weeks ago! I jumped right on it and am making it already! Cool, huh? What I’m wondering about your dream is how you know it’s intuitive guidance, rather than your mind just being afraid to try something new? Is there a way to tell the difference? We all have anxiety dreams, after all – the old “I’m back in school and haven’t attended classes and the test is coming up” sort of thing. I HATE that one. OMG. You were in CA when they had the big fires? I know a lot of people out there and it is pretty scary! As far as knowing that this is intuitive guidance – it’s all in the way it feels. Anytime we get intuitive guidance the way to distinguish it from our rational mind is in how it feels. When I analyzed this dream I “knew” that I was hearing the truth. I’d actually been deluding myself thinking I could walk away from the responsibility of my mother. I’m just not like that. I’d never go and leave her here on her own – I may want to – but I feel I have an obligation to her. I’m so glad you’re coming in 2012. That’s right around the corner. I will look forward to meeting you then! I have many wild and vivid dreams every night. I found that taking naps is the easiest way for me to re-recall my dreams. Most intuitive people do have wild and vivid dreams! The few times I’ve fallen asleep in the day time I’ve always had some of the wildest dreams! I’m getting pretty good at listening to my intuition while I’m awake, but I’ve had spotty results with recalling dreams. Sometimes they are so vivid it is not a problem, but most of the time, I’m haunted by vague images that I can’t recall. So this list will really help. I’ve heard that it can be useful to lie very still and not open your eyes and this will help remember a dream, but for me the problem is remembering to do this! I would really like to access the wisdom of my dreams, so thanks for this great reminder. Yes, that’s right. When you wake up don’t move. Focus on your dream. As soon as you move – the dream goes out the window. A nice list of tips. There have been numerous times I’ve had a vivid dream, then lost it quite quickly after waking. I’d never thought of dreams and intuition being linked before in the way you describe. Thank you. I’m glad you enjoyed the tips. Oh yes! Our intuition is more on the surface in dreams than anywhere else. Thank you for visiting and commenting Marty.